Parry approaches his subject from many angles—the mountain building events that provide a source for the rivers, the physiographic provinces that give the modern rivers their character, and the deposits of sand and gravel that formed as ancient rivers flowed. Fossil and modern fish fauna are described to provide a unique guide to some aspects of rivers not available by any other method. The description of rivers is completed with the 'historical' account of rivers that did not exist—the mythical rivers of Utah. 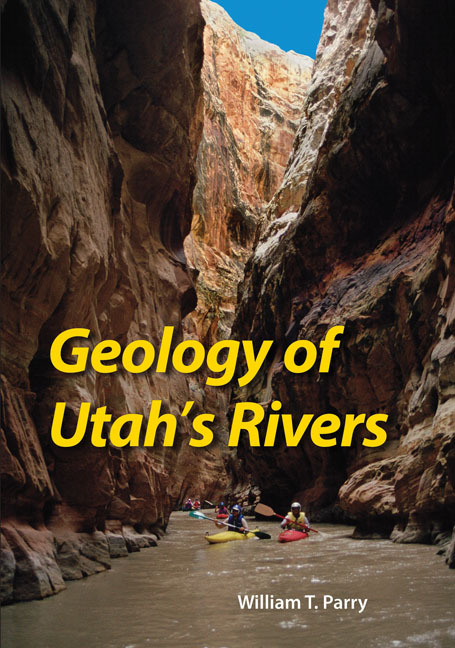 William T. Parry is professor emeritus of geology and geophysics at the University of Utah and author of A Hiking Guide to the Geology of the Wasatch Mountains (University of Utah Press, 2005), and All Veins, Lodes, and Ledges throughout their Entire Depth (University of Utah Press, 2004).